A few days ago the final meeting of the group investigating on the Amulsar issue took place; a series of questions regarding the organization of activities were discussed. The head of the Environmental Protection and Mining Inspection body Artur Grigoryan, who also leads the activity of the investigation group, presented a series of details concerning the administrative proceedings implemented by the Inspection body. “We have implemented two administrative proceedings concerning the water utilization in Amulsar; one of them was on the case of “Eghegnadzor WU” providing water to Lydian Armenia; the water was provided for technical reasons from Kechut water reservoir, which can be used only for irrigation purposes. Second case was regarding the village hall of Gndevaz, which is a part of enlarged community, in 2011-2012 water was provided from “Seven springs-Gndevaz” water main, which also could only be used for irrigation purposes”,- says Arthur Grigoryan. The latter states, that the two proceedings have been discontinued for some reasons, but since there is a possibility of corruption risk, the EPMI has sent the cases to Control Service of RA Prime Minister. “If there are suspicions of corrupt activity, a criminal case can be filed. 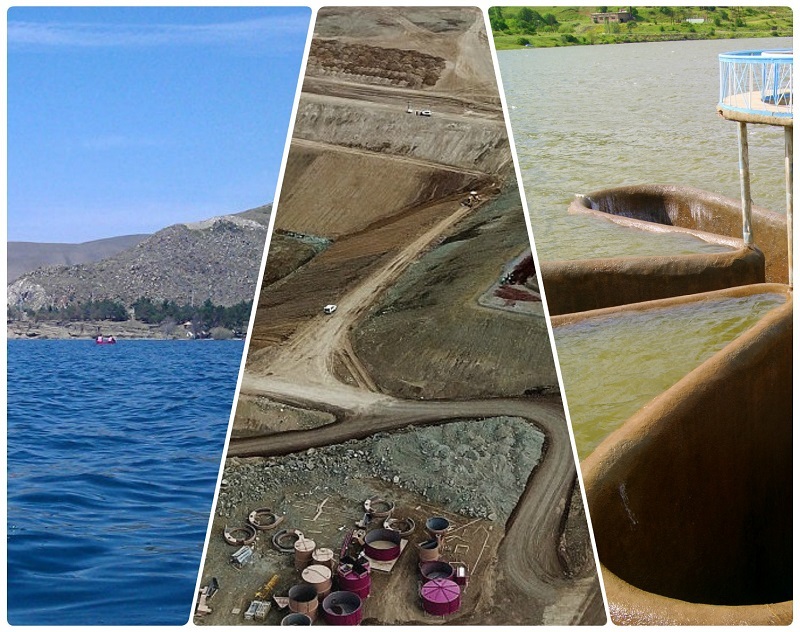 The existing State Committee of water system has assigned the “Eghegnadzor WU” to provide water to Lydian Armenia CJSC from Kechut reservoir, and hasn’t clarified the irrigation or technical purpose of water usage, but it is clear, that the company was not growing beans, so the usage should have been related to mining. In any case both issues have been sent to the Control Service of RA Prime Minister and we need to understand weather there was any corrupt activity, and how the “Eghegnadzor WU” was ordered to provide the water of Kechut reservoir for technical purposes, when that water is the water of Lake Sevan and can be used exceptionally for irrigation purposes”, the head of EPMI noted. According to him, the Committee hasn’t clarified the purpose of water provision, and has just ordered to provide the water. “Here, in the frames of the criminal case, the issue can be regulated, answering who authorized and what consequences can it bring. In both cases there is contract signed between the company and “Eghegnadzor WU” for the first case and Gndevaz community council for the second. Both contracts have not been legitimate. In the frames of both administrative proceeding, we have instructed to stop any activity that can be related to providing water, because it is illegal. Concerning the proceeding for already provided water, the head of Control Service will study the cases and inform about the results. Just to remind, that EMPI has informed about the administrative proceedings in August, suggesting the Ministry of Environmental protection to revoke the ԲՓ-35 state expertise conclusion, confirmed on 29-Apr-2016 by the minister of the Environmental Protection, taking into account the new ecological circumstances. The material was prepared by Econews environmental-informational site.